Heres a compiled list of all the cloth nappy terms you may come across in case any of them have you saying 'huh'?! All in One Nappies are a complete nappy with the waterproof outer layer built in so they don't require a seperate cover. All in One Nappies are the most similar to a disposable nappy, and are really convenient for quick and easy changes, childcare or outings. 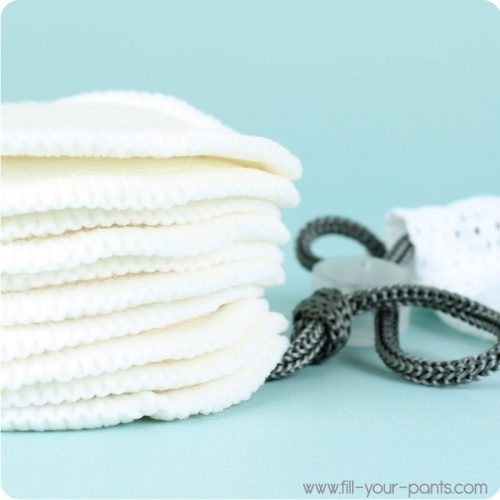 Aplix® is a brand name of soft hook and loop fastening commonly used on cloth nappies. Other brands of hook and loop fastening used on cloth nappies includes Velcro® and TouchTape®. Boosters are multi-layered pads that can be inserted between your babies bottom and the nappy to boost absorbency. They are recommended for heavy wetters or night time use and some may be topped with a wicking fabric such as microfleece to keep the bottom dry. Diaper is the American term for Nappy. The most common method of storing cloth nappies ready for the machine. Dry pailing is basically the opposite of soaking nappies, and just involves putting the dirty nappies inside a dry bucket, which can be lined with a mesh bag. Fitted Nappies have a contoured shape with gathered edges around the legs and waist. They are fastened with either hook and loop, poppers or with Nappi Nippas and require a waterproof cover over the top. Fitted Nappies are much easier to use than flat nappies as they require no folding. The term flat nappy can refer to the tradional terry square or to pre-fold nappies (see below). They are generally made from cotton fibre and require folding, with a waterproof cover over the top. A polyester fibre often used to make nappy liners, wraps and soakers. It is super soft, and resists water penetration. Many nappies are lined with fleece to provide a 'stay dry' layer next to the skin. Hemp is a natural fibre made from the hemp plant. It is very popular in cloth nappy use because of its durability, absorbency and natural anti-microbial properties. Inserts are rectangular or contoured strips of fabric that are stuffed inside pocket nappies to provide absorbency. They can be made of hemp, microfibre, bamboo or any other absorbent material. Liners are a thin material used between the nappy and the bottom and serve two useful purposes. One, to keep poop away from the nappy to aid cleaning and two, to provide a 'stay dry' layer next to the babies skin. Liners can be a single use, biodegradable paper type, or a reusable washable type. Polyester fabrics such as microfleece wick moisture away from the skin. Liners are an optional cloth nappy accessory and not essential. Microfibre is a super absorbent synthetic polyamide fibre that is often found in pocket nappy systems. It absorbs moisture very quickly and can hold up to 7 times its weight in water. It is exceptionally soft and holds its shape well, however it should not be used directly next to the skin as the tiny fibres can cause irritation. Microfibre retains its absorbency best when it is line dried. Mesh bags are commonly used to line the nappy bucket. They provide an effective means to transfer soiled nappies from bucket to machine without having to pick them up one by one. The whole bag can simply be placed inside the machine with the drawstring left open, and the nappies should naturally seperate from the bag during the wash cycle. The brand name of an alternative method of holding flat nappies in place. Instead of the tradional pins, a Nappi Nippa is a plastic gripper that uses little teeth to grab the fabric. It is considered a safer alternative to pins. Fitted Nappies that are designed to be fastened with Nappi Nippas. i.e they have no aplix or poppers built in. One-Size nappies are those that are designed to fit from birth right up to potty training (8-35lbs approx) They usually incorporate snaps down the front rise which allow to to adjust the size of the nappy as your baby grows. One-Size nappies frequently fit best between 15-25lbs, with variable fit at either end of the range. Organic fibre means that which comes from a plant that was grown without the use of chemical fertilisers and pesticides. Organic material usually comes at a higher price than regular material. The original Pocket Nappy was designed in 1998 and became known as the 'Fuzzi Bunz' brand and have become an innovation in the cloth nappy market. Pocket Nappies are 2-part systems comprising of a waterproof shell lined with an inner layer of microfleece or velour, with back opening between these two layers in which absorbent inserts are stuffed inside. When stuffed the nappy becomes an All In One piece, but has the benefit of being a quick drying system as everything seperates. Although Pocket Nappies require assembling, they are considered to be very easy to use and prove to be a popular choice for childminders or nurseries. A plastic or nickel-free snap fastening often found on nappies to fasten them around the waist, or on the front rise on One-Size nappies. Prefolds are rectangular shaped nappies that are stitched into 3 lengthwise layers, forming a thicker middle layer. 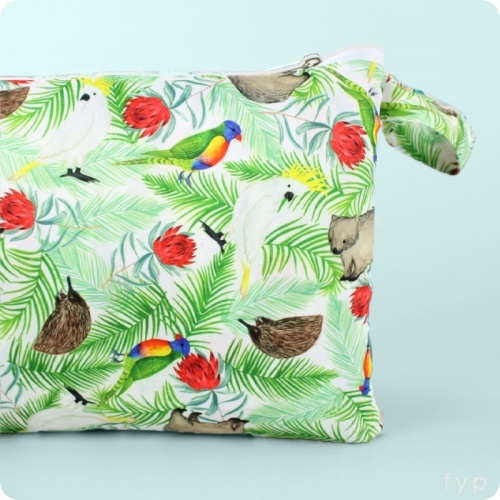 They can be tri-folded inside a waterproof nappy cover, or folded and fastened with pins or a Nappi Nippa. Unbleached prefolds require more initial washing to reach full absorbency, but tend to be softer than bleached versions in the long run. Polyurethane Laminate, a material which is applied to fabric to make it water resistant. 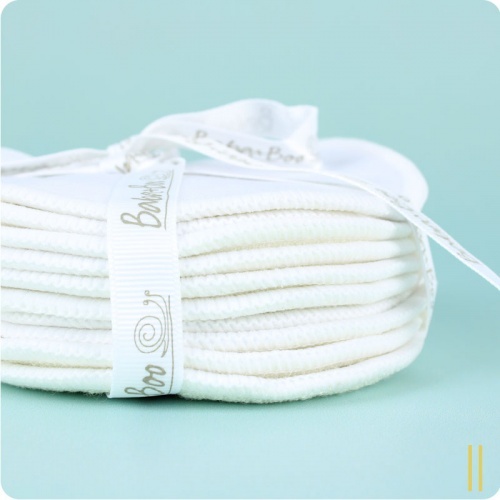 Many Nappy Covers are made with PUL, and Pocket Nappy and AIO systems incorporate it to make them waterproof. 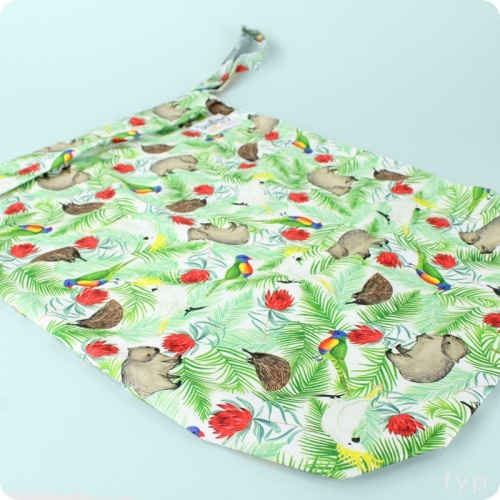 A soaker is a water resistent cover that pulls on over the top of fitted or flat nappies. The tradional nappy that your mother or grandmother would have used! A square piece of terry cotton (or more recently, sometimes bamboo) that can be folded in a manner of ways and fixed with pins or a Nappi Nippa. They are extremely versatile and quick to dry. Unbleached fibres are those which have not gone through a chemical bleaching process. They usally retain more of the fibres natural oils and waxes, so may need washing more times than bleached fibres before they reach full absorbency. Velour is a super soft and plusf fibre that has been knitted and then shaved to a uniform level. It resists pilling and stays soft even in hard water. Nappy velour is usually 100% Cotton or a 80/20 blend. Wicking can mean two things. The first in the negative sense means when moisture is wicked from the edges on the nappy onto clothing, and the second, positive, meaning is where stay dry layers or liners, such as microfleece are working correctly. These stay dry layers are designed to draw moisture through and into the absorbent parts of the nappy, thus wicking the moisture away from the babies skin. A waterproof or water resistant nappy cover which can be used over fitted or flat nappies to contain moisture. They can be found in a variety of materials, including PUL, wool and fleece, and are usually fastened with Aplix or Poppers.